← Irving Layton and Robert Creeley: The Complete Correspondence 1953-1978 (312pp), edited by Ekbert Faas and Sabrina Reed, McGill-Queen’s University Press, 1990. “A maniacally masterful mind game disguised as a novel … The novel begins smack in the middle of an account by a young man named Hans Martens as he risks his life to smuggle ‘the Woyzeck Papers’ out of Nazi Germany. This singular cache contains the other two narratives that make up the whole, which opens as slowly and as tantalizingly as a Russian matryoshka doll. “a thoroughly creditable first novel. 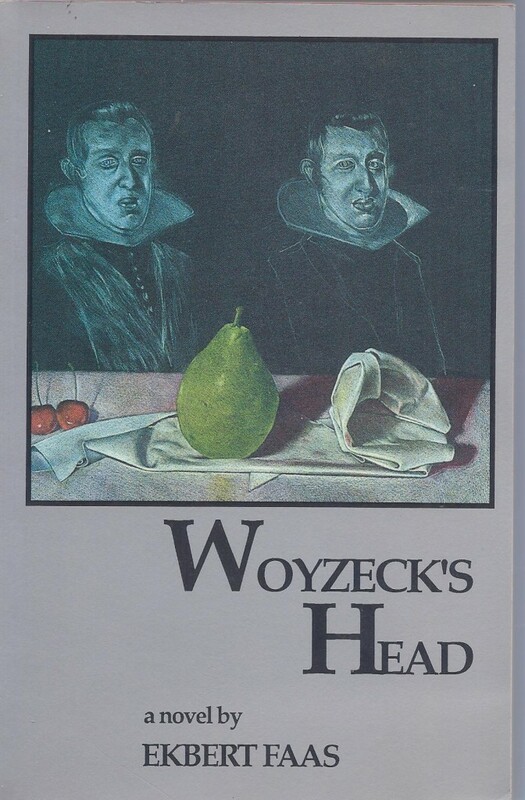 Woyzeck’s Head … is a complex postmodern retelling of the story of the 19th-century murderer Woyzeck, whose defender tried to save him from execution by arguing that, being insane, he was not responsible for his crime. Faas focuses on the sinister motives of a doctor, who insists on retrials and delays so that he can conduct psychological experiments on the hapless Woyzeck. 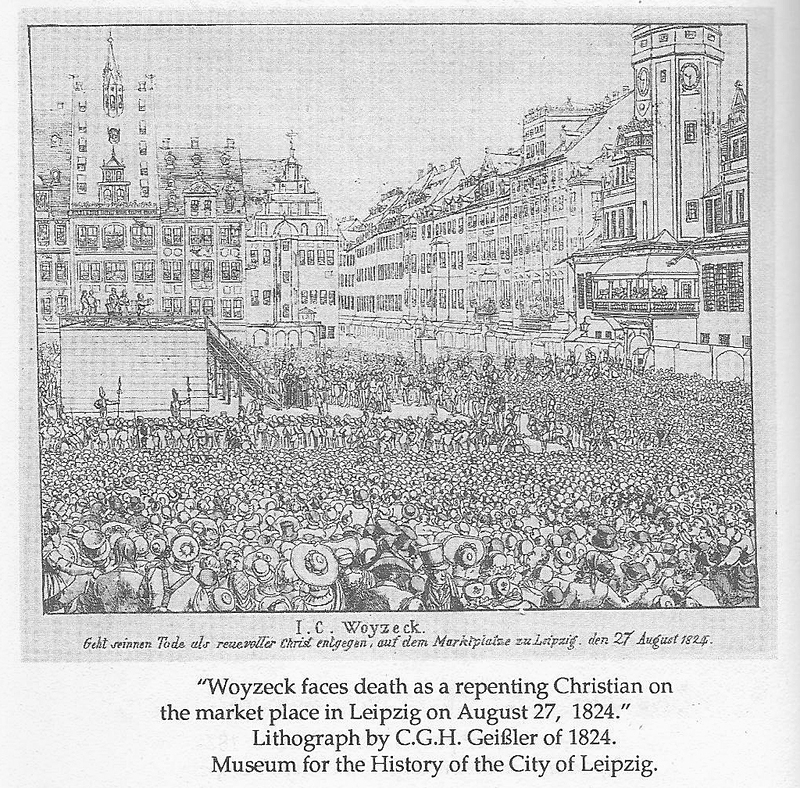 But Woyzeck’s Head goes far beyond the Georg Büchner and Alban Berg versions of the story, and beyond the historical documents, to suggest that the doctor, with his friend the philosopher Arthur Schopenhauer, paved the way for both Freud and Hitler. “In his superbly crafted first novel, Faas not only plays Hamlet with Woyzeck’s Head, he also performs a kind of literary legerdemain in fictitiously recreating certain quasi-historical events in early 19th-century Germany. 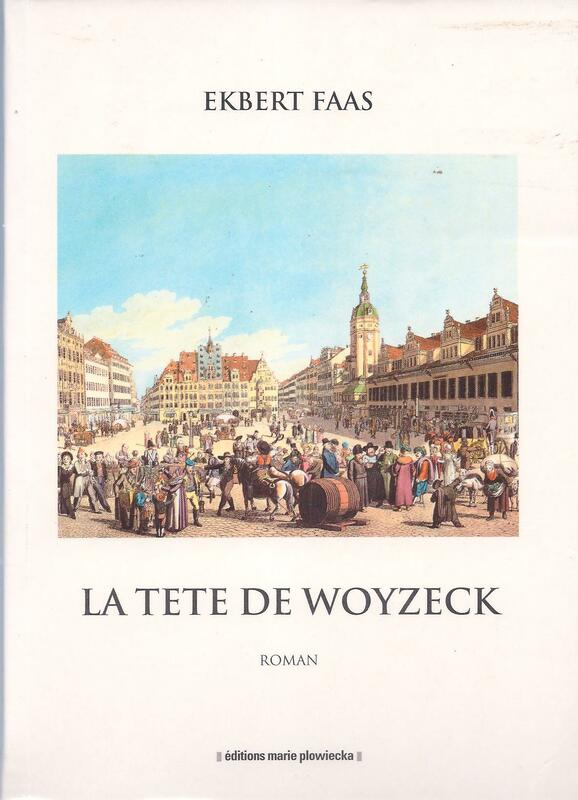 The tragic story of Woyzeck has an almost Faustian status in German literature … This hapless character was the subject of an unfinished play by Georg Büchner and an opera by Alban Berg. Using the framework of Büchner’s pre-expressionist drama, Faas has ingeniously fashioned a story within the original story, that of a spiritually dispossessed man who murders his mistress in a jealous, drunken rage. Although Faas’s novel is so devilishly clever in construction as to be almost Mephistophelian in intent, it is Woyzeck’s doomed humanity that ultimately cries out for acknowledgement and understanding. In having Woyzeck recount the story of his sordid and amoral life, Faas has achieved what few novelists ever grasp: to expose every aspect of his imagined world, and thereby defy such familiar and useful distinctions as that between comic and tragic modes. The theme of this novel is universal. It presents us with a vision of an outraged and baffled man who is committed yet ambivalent toward his terrible world. He knows, too, that his efforts to understand both his world and his failure must forever remain imperfect.